Cyberspace has become a routine of individuals, groups, industries, educational institutions as well as administrations across the world. The expenditure, investment and social media which are online facilities have become highly popular which results in a powerful economy that enables the exchange of information. It is considered as a system that facilitates easy and speed marketing communication among the people, businesses, educational institutions as well as governments. However, such benefits provided by the system introduce various incalculable threats and costs. The reliance on the system of network produces innovative susceptibilities the outcome of which is increasing rate of cybercrimes [ CITATION She16 \l 1033 ].At the same time, cybercrimes might not include loss to the physical property but instead, it includes the utilization of significant and confidential information. Cybercrimes or computer crimes cost billions of dollars all over the world and threaten the future of communication. However, inFiji, there are cyber laws in which, there are provisions for the punishments to the offenders and in this project, these laws will be discussed emphasizing on their strengths as well as weaknesses. As various new types of crimes are evolving frequently, it is essential that there should be a process of verification and modifications in the legal procedures so that such wrongdoings could be challenged in the law courts. There are varieties of computer-related crimes which are hacking, phishing, computer viruses, money-laundering, cyber stalking and such others. In Fiji, in excess of 45 cybercrimes were noticed in the last five years, out of which, 15 cases were regarding internet banking scams, where the sum was around $120,000 from various local bank accounts[ CITATION San18 \l 1033 ].Cybercrimes have increased radically all over the world despite organizations implementing end-to-end security solutions perfectly. There are number of security breaches because cybercriminals have become able to exploit fragile links in the security systems of the victims because of outdated solutions that could not identify such abnormalities within their system environment [ CITATION SUV18 \l 1033 ]. The universal types of cyber crimes are “Identify Theft”, “Ransomware”, “DDoS Attacks”, “Botnets”, Spamming, Phishing and many others. “Identify Theft” is one of the most common cybercrimes, where, an individual appears to be somebody else with an intention to perform fraudulent act for financial benefits and the imitation to be somebody else online is known as “Online Identity Theft”. Cybercriminals perform such acts to obtain credit card information, details of electronic mails, Ids, passwords and other secured accounts of banking and financial institutions [ CITATION ITU13 \l 1033 ]. “Ransomware” has been known to be as one of the most horrible attacks based on malware, which enters the network of computer and encrypts the files with the use of public-key encryption. Distributed Denial of Service (DDoS) attack brings down the online service and makes it unavailable through trafficking it from various sources. Botnets are the huge network of infected computers and are controlled by hackers who do illegal activities such as send spam.In a similar manner, two other highly common cybercrimes are Spamming and Phishing. Spamming includes unwanted electronic mails while Phishing occurs when cyber criminals offer induce by various ways such as through lucrative business proposals or lotteries and request personal information in order to claim such offers. Through Social Engineering, cyber criminalsestablish direct contact with potential victims through emails and phones. Such criminals gain confidence of the victims and extract confidential informationfrom them such as their banking details or other financial information [ CITATION Par18 \l 1033 ]. The Computer Crime Laws in Fiji are strict and Computer Offenses are covered under Section 336 to 351 of Division 6 in the Crimes Decree 2009 in the Decree No. 44[ CITATION Tam11 \l 1033 ]. The Crimes Decree 2009 is a fundamental legal tool that outlaws the cybercrimes but is not capable of holding the complexities and various cyber security breaches in Fiji which influences the cyber security in the country. 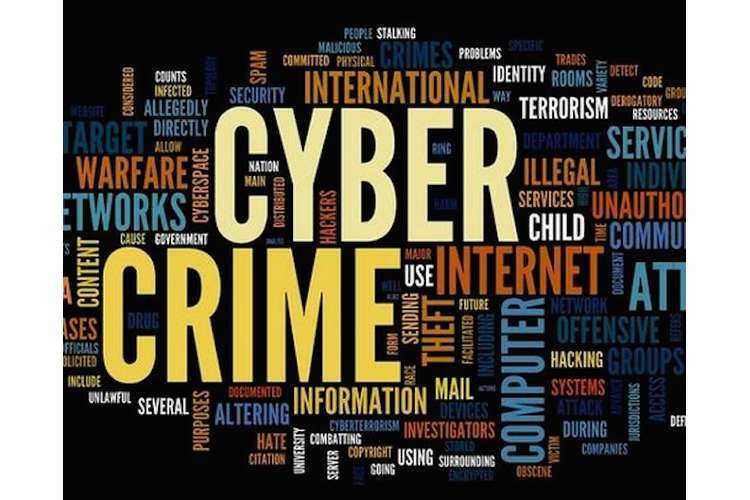 The cybercrimes unit and authorised implementation authorities of Fiji are confronted while making efforts to outlaw the cybercrimes and investigations of complaints regarding cybercrimes. The reason behind the confrontations is absence of clear law-making provisions to criminalize the cyber offences that could enable criminal concerns to be brought against alleged wrongdoers. It is because such crimes are not considered as criminal acts under the existing legislations and makes Fiji exceedingly vulnerable from the point of view of its capacity to outlaw the cybercrimes under the existing Crimes Decree particularly as the complicated cyber offences occurring in majority of developed nations and their relevant cyber regulations [ CITATION fij18 \l 1033 ]. Various cyber crime cases have been notified in last few years in Fiji. In 2013, the loss of US$65,000 was incurred to a Suva based company in a single payment transaction for purchase of soft goods from Taiwan wherein, payment had been diverted to UAE to India. Similarly, in 2014, because of cybercrime, a Suva based company incurred a loss of US$101,000 on purchase of apparel from Israel wherein, the payment got diverted to UK. Another case is of 2015, when a Nausori based company incurred a loss of US$13,000 on purchase of food and other products of supermarket from Pakistan and the payment was side tracked to UK [ CITATION Sus01 \l 1033 ]. In this way, number of cases related to Cyber laundering conducted through email bluffing was inspected by the Finance Intelligence Unit (FIU) in the last few years. However, there are various weaknesses in the Cybercrime Laws of Fiji, few are mentioned in this paper. In 2013, there was an online boutique being functioned with the name “Pink Window Creation”. The customers purchased various products in the name of the boutique through online social networks which were never delivered by the boutique [ CITATION Gar15 \l 1033 ]. It was later on revealed that charges on the owner were to be released only in case, if the customers were refunded before the first date of hearing. Because of not so explicit cybercrime laws in Fiji related to the Online Buying processes and lack of effective law permitted the similar possessor to construct another Online boutique account and when the items were bought, the supply of those stuffs was completed merely to develop a client base. When the customers were pleased with the Online Store and trusted it, customers requested large orders by the payment of huge amount of currency and those stuffs were never supplied to them. A similar case was noticed where the suspicious utilized wrong information on social sites and took $240. It was later on considered to be the "Used computer to gain financial advantage"in the category of "Serious Computer Offence" and "Obtaining Financial Advantage by Deception" in contradiction of sections 318 and 341 as stated by Crimes Decree No. 44 of 2009 and there was a provision of punishment of imprisonment of one year and a deferred punishment of three years. Because of non-existence of specific and strict cybercrime laws in the region, this punishment could cause for a stricter penalty so as to deter cybercriminals in future. Fiji is a partaker in Cybercrime Awareness and Prevention and is a fellow of ITU-IMPACT initiative which possess the accessibility to suitable cyber security services.In addition to it, Fiji is a contributor in Asia Pacific CIRT (Computer Incidents Response Team) cybersecurity forums. The country is also a beneficiary of EU/ITUcombined subsidized project named “Capacity Building and ICT Policy, Regulatory and Legislative Frameworks Support for Pacific Island Counties”. Fiji is a fellow nation of the Pacific Regional “Pacific Computer Emergency Incidents Response Team” (PacCERT). The ITUdirected a Computer Incidents Response Team (CIRT)valuation of Fiji in the year 2014, however Fiji is until now having a legally recognized nationwide CIRT. There is the requirement of establishing explicit legislation as well as directives regarding cybersecurity in Fiji. Furthermore, there is lack of any kind of formal documentation which could be an all-inclusive National Cybersecurity Framework for the effective implementation of cyber security principles. There are a number of countries such as UK, USA and Germany that have recognized the requirement to address the challenges related to cyber security and have implemented strong cyber security policies [ CITATION USD11 \l 1033 ]. The USA has recognized cyber security among the most serious economic and challenging for the national security as a result of which, ordered a comprehensive investigation of the national level efforts for the purpose of protecting the information and communication infrastructure as well as for the continuous improvement of a thorough tactic towards the protection of information substructure of the USA. In Fiji, there is still a requirement of establishing a convincingly acknowledged agency which could be held responsible for the employment of National cyber security policy, roadmap as well as procedures. The oppression through cybercrime could create long-lasting impact upon the life of an individual. There is a technique named phishing which is employed by the scammers for the purpose of sendingfraud or false emails that pretends to be from the banks or various other financial institutions and requests for confidential information and if the information is provided by the victims, it enables the cyber criminals to have access in their bank and credit accounts. By this way, cyber criminals can also open new accounts as well as destroy their credit ratings. Such a kind of damages could take years of time to get fixed and thus, protection of confidential information online is considered as essential. Cyber criminals not only target individuals but also focus their attacks on businesses whether small or large. Cyber hackers make several attempts to capture the commercial servers to steal the data or to make use of machineries for achieving their inappropriate purposes. It made essential for the businesses to employ security staffs having relevant qualifications and expertise in order to keep the stalkers out of their systems. That is why, large companies have to spend more on cyber security then also, malware incidents are generallyreported by various companies.Due to cybercrimes, monetary losses could be massive and millions of people get victimized to some sort of cybercrime on daily basis that ranges from merely password theft to widespread financial deceive. Till users become alert of outdated ways of outbreaks, cyber offenders develop variety of new procedures that involve moveable devices as well as social networks in order to retain their illegal benefits to remain in flow.In a similar manner, entertainment, music and software industries get severely affected due to piracy and damage claims are not so easy to be estimated and verified and might exceed to millions and billions of dollars on yearly basis.Considering all this, copyright holders demand for stricter laws regarding intellectual property theft as a result of which, laws such as Digital Millennium Copyright Act has been established. Such stringent laws allow the copyright holders to aim individuals who share intellectual property unlawfully and become able to sue them for huge amount of monetary compensation in order to neutralize the financial losses incurred to them because of illicit sharing of their intellectual property. Fiji established a cybercrime cell within the police department in order to prevent combat such crimes in the country. In the year 2010, Fiji established the Cyber security Working Group which was headed by the Cybercrimes Unit of the national police force as well as by the Defence Ministry of the country. This Group is supported by public-private partnership that comprises IT departments of the government, authorisedoperators, banks as well as network service providers. It is the responsibility of the Financial Intelligence Unit to scrutinize the illegal activities for example the crimes related to money laundering. Moreover, Fiji has addressed online monetary protection along with number of online customs and tax avoidance issues by establishing the Fiji Inland Revenue and Customs Excise Authority. As per the Cyber security Strategy report of Australia, it is expected that around 50 billion devices will utilize internet all over the world by 2020. With the global expansion, the risk of malicious actors will also become high. In majority of devices connected to the internet, online security has not been designed which makes it easy for the mischievous performers to interrupt and harm the network. It has been identified that there are several weaknesses in the legislation of Fiji related to the Cyber security and analysing all of them, certain recommendations and key strategies could be suggested to improve or modify them as per the existing requirements. In this context, Fiji could consider the best strategies applied by some of the countries to combat cybercrimes. The Government of Australia has established a cyber-security strategy in association with number of departments and agencies of the country. The Government of Australia has been investing in millions in order to enhance and provide new initiatives similar to which, Fiji should also invest in the Cyber security Laws so that lawbreakers could be punished. As Australia has amended its Cybercrime Legislation emphasizing on all the computer related offences, Fiji should also have similar laws and should introduce strategies similar to Australia in order to take strict actions to combat cybercrime. Furthermore, Fiji should also recruit Europe Convention on Cybercrime which is a global agreement on crimes conducted online. The nationally recognized R&D projects for the establishment of cyber security principles should also be implemented and should be applied in the country. There is a requirement of professionally recognized training programs to be implemented in the country in order to promote cognizanceregarding cyber security,and it should also be ensured that the people handling such training courses be recognized globally and be specialized in the cyber security courses. The educational institutions should also implement cyber security courses. As the rate of internet users is increasing in the country, rate of cybercrimes is likely to increase. Thus, cyber security courses provided within the educational institutions would ensure awareness among the future generations regarding the impact of cybercrime and how to mitigate the risks associated with the cyber safety. Furthermore, specific legislations are required to be developed by Fiji regarding Child Online protection and the legislation as a strong deterrent against offences regarding children. Fiji cyber offences should be made against children that will be alleviated due to punitive fines associated with such crimes. After analysing the legislation of Fiji, it can be concluded that reliance on cyber security laws is not sufficient to combat cybercrimes because cyber criminals innovate their strategies with the modifications and development in the information and communication technology and discover ways to avoid existing laws. There is requirement of extreme vigilance while dealing with the strangers online and never disclose personal and corporate confidential information. Fiji should integrate precise and strict laws against cybercrimes in order to deal with the innovative types of cybercrimes in an effective manner. It should also contain the Intrusion Prevention and Detection Systems, anti-malware and anti-spam devices as well as plans. There is a requirement of regular update of the online servers and customer operating business systems analysis and should be strengthened to safeguard all the individuals as well as businesses against such vulnerabilities. 2. Brenner, S. W., 2001. Cybercrime Investigation and Prosecution: The Role of Penal and Procedural Law. Murdoch University Electronic Journal of Law, 8(2). Available at: https://www.fijifiu.gov.fj/getattachment/fcf3a39e-c6b5-4b89-8c9a-10c3cfaa5e2d/Fiji-National-Risk-Assesment-Report.aspx [Accessed 3 October 2018]. 5. Pandey, S., Shah, N., Sharma, A. & Farik, M., 2016. Cybersecurity Situation In Fiji. INTERNATIONAL JOURNAL OF SCIENTIFIC & TECHNOLOGY RESEARCH, 5(7), pp. 215-218. Available at: http://www.parliament.gov.fj/wp-content/uploads/2018/05/Standing-Committee-on-JLHR-Report-on-the-Online-Safety-Bill-No-7-of-2018-part-1.pdf [Accessed 3 October 2018]. Available at: http://fijisun.com.fj/2018/04/28/cybercrime-cyber-safety-cyber-resilience/ [Accessed 3 October 2018]. 8. Tamanikaiwaimaro, S., 2011. Cybersecurity in the Republic of Fiji, s.l. : s.n.